– September 23, 2012Posted in: SusieQ FitLife Updates! Steve Harvey's Think Like a Man DVD Contest with SusieQ FitLife Arms of a First Lady DVD Giveaway! 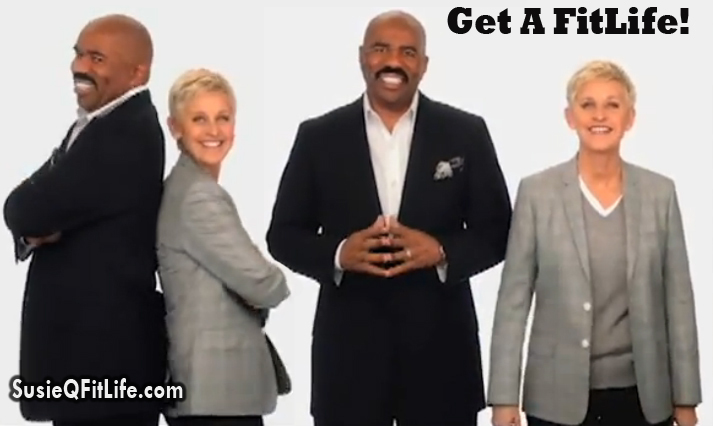 Act Like A First Lady Contest with Steve Harvey & SusieQ FitLife! Steve Harvey & SusieQ FitLife have teamed up to GIVEAWAY the newly released movie “Think Like a Man” & the “Arms of a First Lady” Fitness DVD to one of our lucky FitLifers! The contest begins today & arrives on the heels of Steve Harvey’s Daytime TV Talk Show Debut on Sept. 4th! Watch this video clip with the contest details! 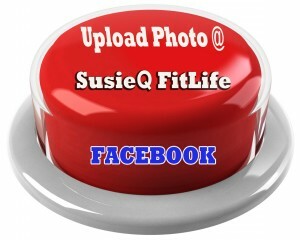 SusieQ FitLife constantly wants to remind women that every woman is a First Lady! Luckily, Steve Harvey agrees and released his hugely successful “Act Like a Lady, Think Like a Man” book; to help women improve their relationships with men. Our contest is entitled “Act Like a First Lady!”and there are two easy steps for you to take in order to win! 2. Tell us why you should win the Movie & Fitness Workout DVD! VOTE for the TOP 5 First Ladies below! May the BEST First Lady WIN! Stay tuned to watch Steve Harvey & his beautiful wife Marjorie Harvey tell SusieQ FitLife in an exclusive interview on how they lost weight & work towards Getting a FitLife! Coming Soon! Thank you for Voting for a First Lady to WIN! See Poll Results Below! 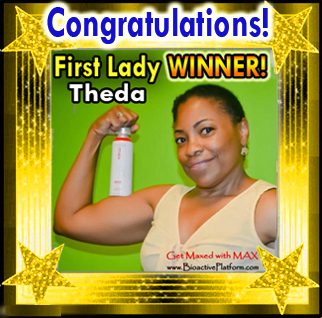 Every Woman Is a First Lady & Theda is Our Winner! Theda Yvonne Burke: I am a Bioactivist; someone who uses, shares and promotes Bioactives – (simple natural plant compounds that promote and sustain health without harmful side effects). I started my journey in the 60’s when a gentleman enlightened me that topicals applied to our skin and hair become part of our blood stream; also the properties in pharmaceuticals were derived from nature and are chemically modified and synthesized. In the 80’s, I found that the food I consumed contributed to making me very ill; so we (myself/my family) modified our eating habits after consulting with an Iridologist who explained what was happening to our food supply. Bioactives has helped me tremendously and could help others, so I share my story with the help of the ‘MAD Team’ (Making a Difference) team. 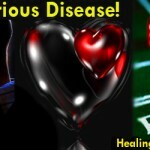 As a Bioactivist, I believe that bioactives will be the gold standard in health care. 1. Eula M. Young: As a wife, mother, grand-parent, business owner and community mother, it is important for me to have balance. whether running my business or running to a parent association meeting, being fit is important in my life. I feel now that I am reaching my goals as a First Lady and I am finally learning how to be happy in my own skin. I try my best to be a role model for the young women coming behind me and someone that my three daughters can be proud of. As a community mother, I try to speak as often as I can to youth groups regarding my journey as a domestic violence survivor and the pit falls and trappings that life may bring. If I can help one young women to learn by my experience then I am very happy. As a business owner, it is not enough for me to just be successful but to give back, mentor and share resources that can help another entrepreneur grow their business. I try to support others by posting their events on my page and post resources that can help people build their brand, when I hear success stories it does my heart good to say I help that person along the way. That is a true blessing. 2. Carolyn Henley: I would love to win the ‘Think Like A Man’ DVD because I absolutely loved this movie as most of America did. I have seen the movie four times in theatres and I did a lot of grass roots advertising for the movie by encouraging my friends/family to go to the theatre to view it. Hoping to add it to my dvd collection via Susie Q. I also value working out and need something new to continue to encourage myself. 3. Gail Bannister-Munn: I had to enter this contest. So why do I think I am a First Lady???? I believe EVERY woman/man is 1st lady/man. Working in the fitness world my/our job is to make them believe, or bring that strength and confidence to all our members/clients. Everyday I strive to make that a success story. 4. Darlene Meyers: Here you see me working at my computer. I have arrived at my “First Lady” status. I am a single mom who raised a son and has been blessed with two awesome grandchildren. I’m blessed to see them grow and become successful. I also have become “auntie D” to many youth in my community. My passion is to work with youth and encourage them to do their best, to dream and to believe their dreams can come true if they are willing to work for them. I have learned the greatest success I can enjoy is to help others realize their true potential and achieve their goals. My work provides the income to allow me to follow my dreams. Also, through the social networks I have met many who encourage and inspire me such as SusieQ FitLife.